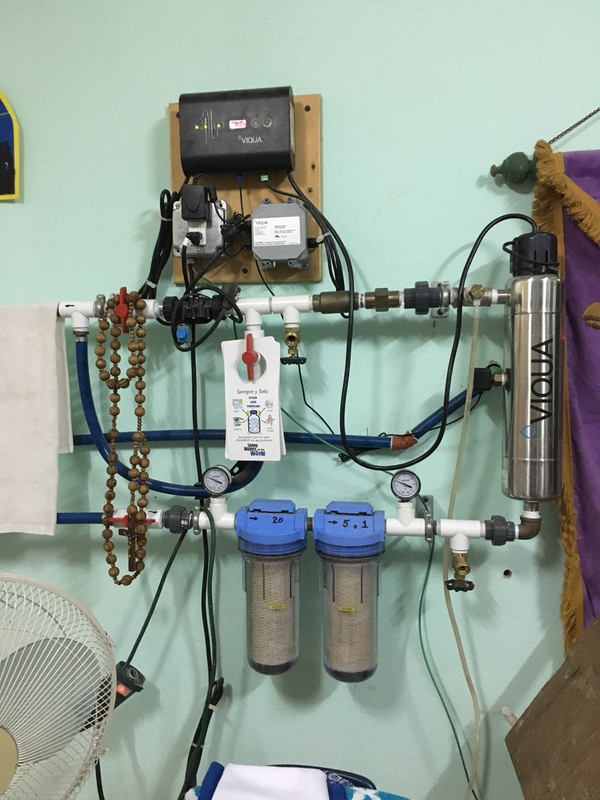 In January 2019 we made our third visit to Cuba to continue our water filter projects. We arrived in the center of the island at Camaguey airport and worked in the province of Ciego de Avila. The region doesn't receive many visitors due to the location and as a result they are very much in need of assistance. We installed two water filter systems working with a team of 13 people, 9 came from St David's Episcopal Church, Wayne, Pennsylvania. We worked along side two Cuban plumbers in Moron (More-Own) and Ciego de Avila, taking about 4 hours each to complete. After the installations were completed one plumber took a third system to install in the town of Jiqui. Jiqui was a 3 hour drive West from our location and we were not able to make it there due to our tight schedule. Two days after we arrived back in the USA we were thrilled to receive photos of the system fully installed and people drinking clean potable water in Jiqui. We also distributed supplies to help improve sanitary conditions in the kitchens at all 3 locations. This was a fantastic trip and we succeeded in every way. We worked along side the local people and trained them on how to install and maintain a water filter system. We made new friends and earned the trust from the local community including the Cuban government representatives who inspected our work. We trained several people how to test their water and how to document water conditions to help us prepare and plan for future visits from other water project teams. We are looking forward to more water projects in Cuba that will be coordinated by the Friends of the Episcopal Church of Cuba. "Un abrazo, espero que su regreso a casa haya sido bueno. Aca ya les extranamos,fue una gran bendicion conocernos y servir juntos a Dios y su reino. DIOS NOS SORPRENDE." Read the FECC featured post that highlighted our work in Cuba. Our water filter and purification system is a modified design to simplify installation and reduce the cost for each system. At each location we adapt the system to meet the installation requirements for each community. Additional ball valves, twists and turns are often necessary to complete a functional and clean looking installation that connects to an existing water supply and includes a community accessible water faucet. 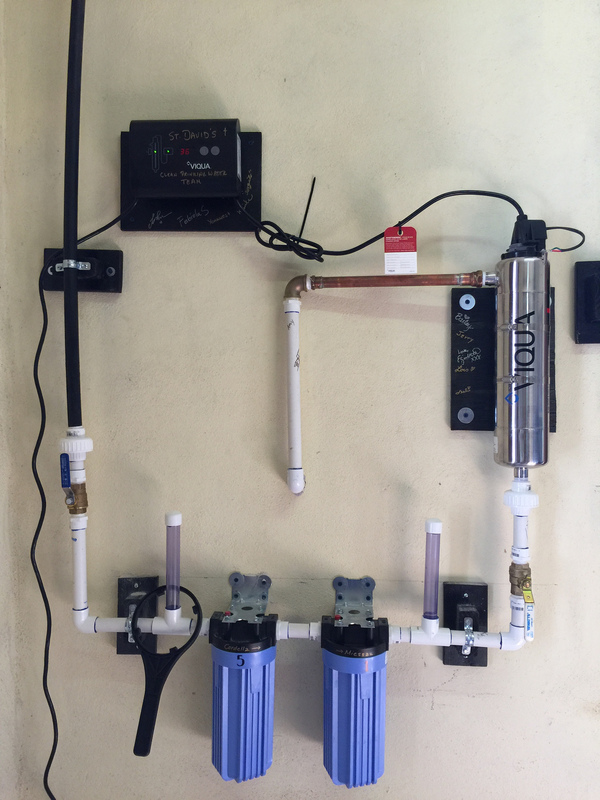 The FECC water filter systems, designed and installed by Michael Pollock from FECC, include additional features: 24v low pressure electronic shut-off valve, transformer, breaker box, GFI outlet, by-pass, pressure gauges, expansion drip valve, flow restrictor and brass fittings.